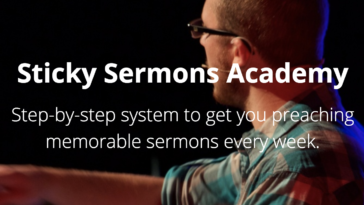 Are you a devoted topical preacher? 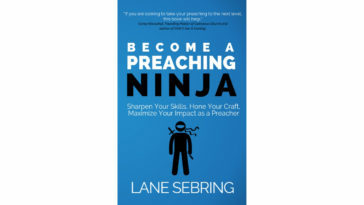 Are you a devoted expository preacher? 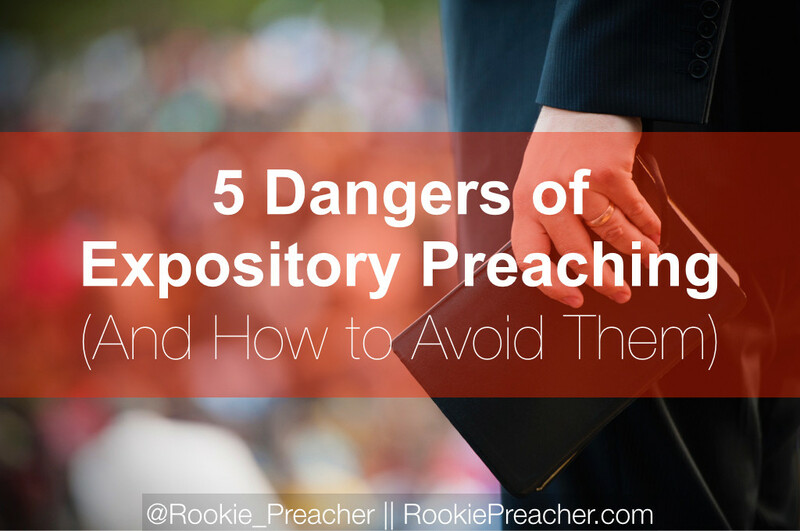 Did you know that there are dangers in whichever preaching approach you take? 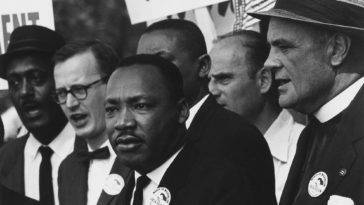 Joe wrote about the dangers of topical preaching a couple days ago. He outlined 3 dangers in topical preaching. 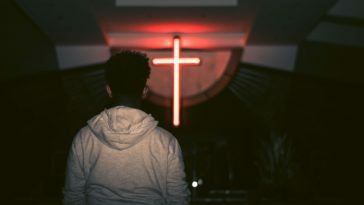 Today, I’m going to share with you 5 dangers of expository preaching – not because one is more dangerous than the other. Both approaches come with their fair share of cautions and benefits. No matter what approach you lean toward, we highly recommend you utilize both throughout your preaching calendar. A common tendency expository preachers have is leaving their congregation at the train station. Think about this: good morning, today we’re going to talk about Romans 14:1-7a. Please open your Bible there and we’ll get started. I don’t know about you, but it seems that an introduction like that already has the message leaving the station before the congregation even knows if they want to go along for the ride. I know, they should want to get on board simply because you are preaching God’s word. Oh, how we all wish it were that simple. But here’s the truth: people care about what is helpful and true more than they care about what is only true. Solution: Walk through answering these questions. What’s a problem you are going to help them solve through God’s word? What kind of life experience does the text speak to? How can you create tension with a reality that the text will resolve? For more on engaging your congregation and creating tension in order to get people on board before the train begins moving, start structuring your sermon like this and make it sticky. If you’re like me, you like to geek out on the original language. I get it. I really do. But here’s the thing: what are you trying to accomplish in bringing it up? I’m not against bringing up the Greek or Hebrew language in a sermon, but make sure it is moving your congregation toward the goal of the message. 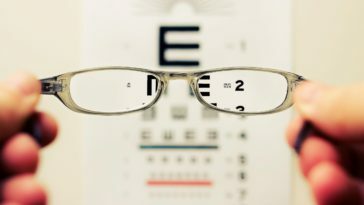 By the way, your goal should not be making sure that they simply know what the text says. Solution: Filter your original language use through a filter. Your filter should be the goal of the message. Is this relevant to moving them toward the goal? If not, don’t worry about sharing it. P.S. Most of them don’t care… I know. Tragic! One of my biggest pet peeves is when (a) chapter breaks literally break the author’s thought, or (b) the preacher stops his passage of focus in the middle of the author’s thought or argument. As an example, whenever Paul speaks to a church about living the right way, he speaks to their reality as people who have been made new in Christ. If this is how Paul argues for morality, we should absolutely argue that very same thing (and yes, in the same sermon!). This, more than anything, is what we often miss in our quest for morality. Solution: Read the text carefully. Don’t pay attention to chapter breaks and section headings. News flash: they are not part of the manuscripts. They were added! Don’t trust them, just ignore them. If they end up working well, cool. If not, you’ll be glad you ignored them. Be very careful in choosing how you break up the individual sermons in a series that is going through a book of the Bible. 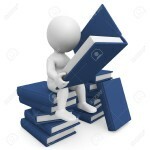 Don’t just split a chapter in half or just preach chapter by chapter. That might work, but don’t automatically do that. Pay attention to the flow of the author’s argument and thought. It’s easy to use a ton of time in your sermon to tell people what the text says and to explain how this relates to our understanding of some theological truth. It’s easy to speak in generalities and keep everything theoretical as well. 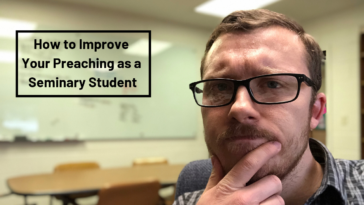 Again, what is your goal in preaching? Is your goal transformation? If it is, you HAVE to apply the text to real life situations. Solution: Think about how the passage of text relates to you personally. If you have a story or two, share them in your message. If you can see a clear application (I hope you can) then make the connection. Never let your congregation walk away wondering, what should I do because of the message? You should be crystal clear in your application of the text just as much as you are crystal clear at explaining the meaning of the text. Nothing is worse than a preacher reading a passage of Scripture and then explaining away the tough parts of the passage the rest of the message. Don’t let yourself do this. After all, you’re not that smart. You need to preach what the text says and apply it to people’s lives. Be humble enough to realize that the Bible doesn’t care what your theology is. It doesn’t care about whether or not you are a Calvinist or an Arminian. It says what it says. Solution: Preach the word no matter how uncomfortable it makes you. Stand firm on the word of God and don’t waiver from speaking on the tough issues that it addresses. If you stick to preaching the truth of Scripture, people will be offended, but they won’t be offended because of some idea you came up with. They’ll be offended because the word of God is sharper than any double-edged sword. It pierces to the depths of the heart. Let it do its job. Next Friday, I’ll share with you a new approach to preaching. I call it exposical preaching. I believe it’s absolutely the best way to preach. If you’re anything like Joe and I, you take seriously your role as a pastor. We want to help. 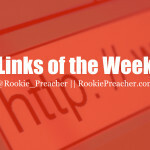 In addition to being able to keep up with all of the posts here on Rookie Preacher, we’d love to give you 56 Weeks of Preaching Topics for free. You’ll get it when you subscribe to the blog. If you want to grow and get a great resource for free, click here and subscribe.